Let me introduce myself. I’m Jordan Jones and I’ve lived in Golden, Colorado since 2009. I created this site to help share my knowledge of our local trail runs to help others enjoy them along with my adventures beyong Golden. I started as a runner at Medford High School in Medford, MA then ran at Boston U. I moved to Colorado when I graduated in 2004. I was a Denver Police Officer (crazy fact!) prior to starting an online focused ski shop, Powder7 Ski Shop, with my wife Amy. We’ve now successfully built the business into a 15 employee company with an awesome brick and mortar store in Golden along with our online business. 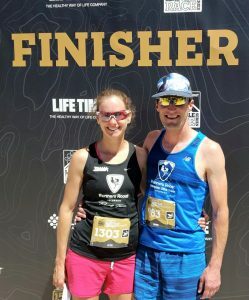 Alongside building Powder7, I raced triathlons for 6 years, won the New York City Triathlon twice, finished 13th overall at the Ironman 70.3 World Championship, and spent TONS of hours training, driving to the pool, and doing the stuff that triathlon requires. Now I’ve returned to my roots and am just running again, primarily on trails, and I’m loving it. Man it feels so good to just go out the door and run. Nice and simple. I still compete and am happy to be a part of the Runners Roost Mountain Ultra Team. I race the mountain part but not the ultra part. I’m also part owner of AthleteBloodTest, a site I’ve developed with some friends to help offer athletes an easy way to get blood testing done to check Iron, Vitamin D, and other nutrients.